South Korea, 2017, 9 min. 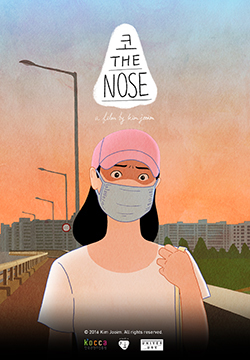 The story of a woman who searches high and low for her nose after losing it to plastic surgery the day before a job interview. Born in Seoul in 1981. In 2004 graduated from Hongik University of Visual Communication Design; in 2012 Masters from Korea National University of Arts of Animation. She works at animalogos studio.